The Bible is more than just a collection of sayings and spiritual lessons. 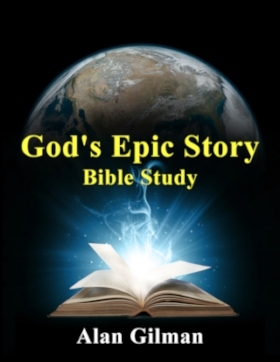 Based on Alan Gilman’s seminar of the same name, God’s Epic Story Bible study is a journey through key passages that highlight the Bible’s big picture. Designed for personal or group study. 56 pages. View sample pages. International Orders: For destinations outside of Canada or the United States, contact Alan Gilman. Since 1997 Alan Gilman has been producing TorahBytes, a short weekly online commentary from a Messianic Jewish perspective. “Torah Light” is the first printed compilation of some of the best of TorahBytes. Each of the fifty-four messages have been carefully chosen and revised for this beautifully arranged publication. Includes one never-before-published message. “Torah Light” provides an inspirational thought for each week of the year based on the annual reading cycle of the Torah (Five Books of Moses). TV Interview: “Torah Light” was featured on 100 Huntley Street, August 26, 2014. Watch now. Radio Interview: “Torah Light” was featured on Ottawa’s Family Radio CHRI 99.1FM, June 18, 2014. Listen now. Order from Amazon: USA | Canada – also available on Amazon sites in other countries, as well as The Book Depository (free shipping worldwide). Through the centuries there has been much antagonism between those who base their faith upon the teachings of the New Testament and the Jewish people. This is largely due to a most common interpretation of the New Testament’s use of the term “Israel” that makes it synonymous with the Church. 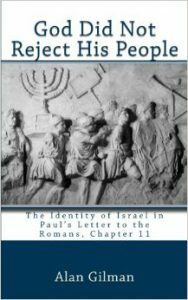 Romans chapter 11 clearly demonstrates Paul’s understanding that, consistent with the teaching of the Old Testament, Israel is to be understood as the physical descendants of Abraham, Isaac, and Jacob, a covenant people of God, whose promises of spiritual restoration have never been transferred or revoked. Also available on Amazon sites in other countries, as well as The Book Depository (free shipping worldwide). Evangelicals claim to adhere to the authority of the Bible, yet there are several common approaches to Scripture working to undermine biblical truth today. 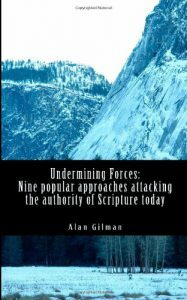 This booklet exposes nine undermining forces in order to equip the reader to appropriately relate to God’s inspired and authoritative written Word.